Former amateur standout Stephen McKenna was victorious in his pro debut Saturday night knocking out Trey Branch in the opening round at the Sports Arena in Rico Rivera, California. The shorter Branch was on the attack from the opening bell, but McKenna forced him to fight defensively by ripping several hooks and right hands to the body. Later in the round, McKenna pinned Branch against the ropes, landing a barrage of punches that forced Branch to the canvas. Branch beat the count, but a left hand to the temple from McKenna stunned Branch. McKenna followed up with another four punches before referee Raul Caiz, Jr. stepped in to stop the bout. 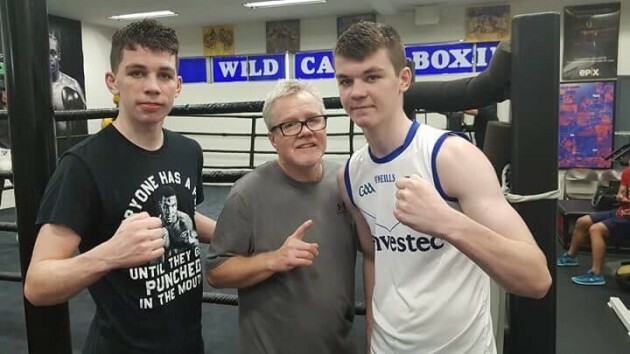 McKenna, who is originally from Ireland and now resides in the Los Angeles suburb of Woodland Hills, is the older brother of unbeaten welterweight prospect Aaron McKenna. Both Aaron and Stephen McKenna are trained by former heavyweight contender Courage Tshabalala of South Africa. Branch, who resides in Bakersfield, drops to 0-3. Also on the Red Boxing International card, featherweight prospect Adan Ochoa defeated Sacramento’s Mario Ayala (5-5-1, 2 KOs) over six one-sided rounds. All three judges scored the bout 60-54 in favor of Ochoa, who improves to 9-1, 4 KOs. Lightweight Angel Flores (5-0, 4 KOs) of Santa Barbara knocked out Arizona’s Jesus Arevalo (2-7) at 2:59 of the second round. Another amateur standout also made short work of his opponent in his professional debut on Saturday night. Eric Mondragon of nearby Maywood knocked out Mexico’s Obed Fernandez (0-9-1) at 27 seconds of the opening round.